I am a Polish girl with journalism background and little experience in PR, but today I am a student in Amsterdam, thinking a lot about the media, technology and communication. After graduating from University of Wroclaw, I decided it was time to learn more and focus on specific subject. I decided to move over to Amsterdam and spend a busy and productive year here (at least one). Cultural revolution has already taken place. What has changed is not only participation in culture, but cultural environment itself, characterized by such slogans as “culture 2.0” or “culture of participation”. Changes in forms of participation in culture (following the development of new communication technologies) and the changes of civilization cause that in the near future, almost everyone will provide themselves a good selection of cultural offer. Some observers of this process believe that majority of the traditional cultural institutions has no chance of survival. Is this true and how they should relate to this situation of artists and those responsible for cultural policy in the world? In this essay I am going to present my view on cultural policy in the era of globalization and electronic media, based not only on my personal opinions and observations but also on book titled “Networks – The Evolving Aspects of Culture in the 21st Century” (Institute for International Relations, Culturelink Network, Zagreb, 2011). This title marks twenty years of networking and research activities conducted by Culturelink – the Network of Networks for Research and Cooperation in Cultural Development that connects more than 3000 institutions and individuals working in the field of culture. During this time, Cilturelink has become a significant source of information on global trends in cultural development and research. In 2009, the group was celebrating 20 years of continuous activities in promoting and strengthening communication and cooperation among cultural networks and institutions, organizations, professionals and scholars throughout the world. 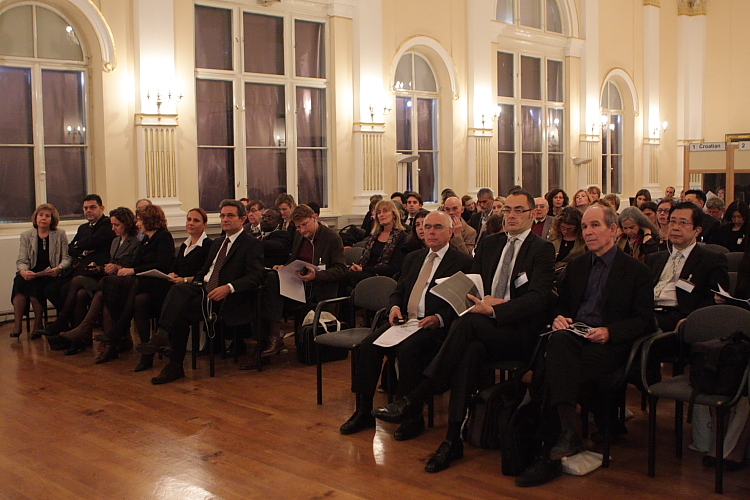 In order to mark the anniversary, in November 2009 the Third World Culturelink Conference was held in Zagreb, Croatia. The congress titled “Networks: The Evolving Aspects of Culture in the 21st Century” brought together Culturelink Network’s members, researchers, artists, professionals and other observers, interested in networking and seeing it as one of the most intriguing phenomenon of contemporary culture. The book I which parts I am going to use, “Networks – The Evolving Aspects of Culture in the 21st Century”, is a collection of speeches delivered at this conference, edited by Biserka Cvjeticanin. In the time that I have been on Facebook and YouTube, I have discovered from a number of sources, including family, friends and colleagues, a wide range of cultural resources to “consume” and “experience” from unexpected directions. From my son I got the website of Sudanese rap artist Emanuel Jal. Since it was posted on my Facebook “wall”, it as picked by a “Facebook friend” (…), who recommended K’naan, a Somali-Canadian rapper who also hosts charities and runs campaigns about Somalia from his website. Not having been a follower of rap before, now I am converted, at least to these two non-gansta performers. I have bought some of their tracks and albums on iTunes online and downloaded others for free form Spotify.” (…) These are two superb artists from some of the most deprived and conflict-ridden cultures in the world who, through the normal channels of the print media, television and radio, I would have never encountered without social network sites. That observation should be regarded as good news, considering how often we complain about the dropping interest in culture. The influence of networks on cultural policies may be problematized in many ways. First of all, cultural policies are formatted an established at national and local levels, according to the administrative organization of a country or of a region. Networks do not follow such patterns: they just provide for the exchange of information on cultural practices and cultural values. Their character and the content of information disseminated is defined by their users, who may or may not influence the cultural policy designers. Participating in the network is voluntary. They affect culture substantially. However, this need not be reflected directly in policy making and policy decisions. In this situation, how do cultural institutions and policy designers have to define their goals? The case is even more complicated: the formulation of new principles of operation requires maps basing on the Internet, whereas current attempts to describe the cultural landscape still use the old categories. We live in the information society, where thousands of players on the market struggles to attract our attention, offering attractive offers entertainment, leisure. Therefore, we have more and more individual needs which can not be satisfied by one public organization offering one and only one solution for everyone of us. Moreover, in many countries in the world the systemic transformation in the dimensions of social, economic and cultural life has not yet ended up. Rebuilding a system as large as several million people in a few years is simply not possible. Thereofre, we still experience so much chaos in cultural life: unpredictable characteristics and cultural profiles of consumers of culture, chaotic functioning of the institutions, disorganization – not only of time, but of general the structures of everyday life. These factors are changing the function and nature of cultural activity, cultural awareness and discourses about it. We are witnessing a “supernova” explosion of culture. This revolution focuses on the cultural identity of young people who make use of new media every day. Culture is now being identified not with the sphere of institutions, but rather to the available content that is available to people 24 hours a day. In my opinion, there is no clear cultural canon anymore, though its parts are still visible in the sphere of the choices made and their justification. This change requires a new model of research on participation and the role of culture, and above all a change in approach to the understanding of the cultural canon and the integration of cultural phenomena co-created by new media, which completely change both our cultural experience and the cultural communities that we belong to.